The 3D SCANNER with SNC DosimetryTM v3.6 will support beam model verification of Varian Halcyon Systems. 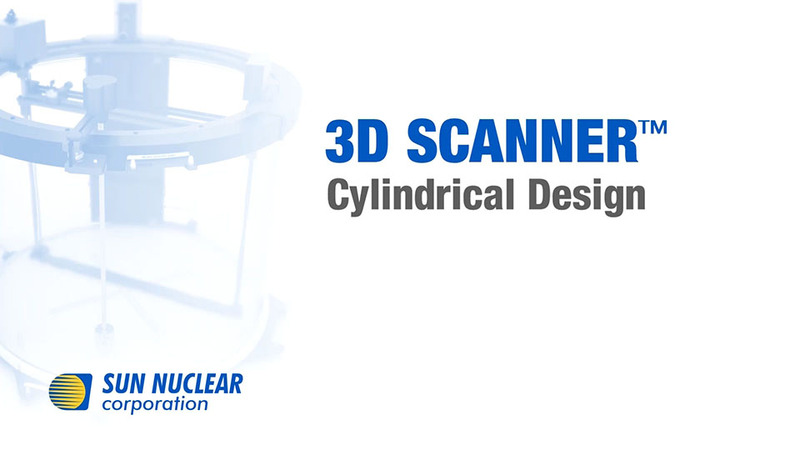 Request this free report to learn more about the water scanning approach and results Sun Nuclear achieves for Beam Validation of the Halcyon Treatment System with our 3D SCANNER. The geometrical design, setup process, and software have all been developed to improve not only the accuracy of measurement data, but also the water tank setup process, making it less subjective and more reproducible. 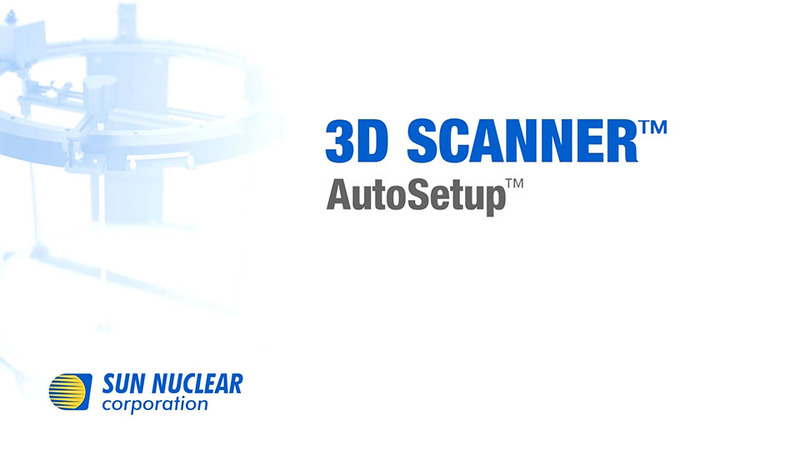 3D SCANNER offers a diameter drive for consistent detector orientation for in-plane, cross-plane, diagonal, and all other angles throughout the entire 360º circumference. Rotation range of 330º eliminates the need for tank shifts. The 3D SCANNER system supports off-axis scans with this geometry by combining rotation and diameter movements during the measurement. 360 degrees of scanning with consistent detector orientation results in better data and eliminates the need to change tank setup. 3D SCANNER water sensor measures water surface relative to the scanning mechanism at three points and automatically adjusts the water tank leveling using two electric motors. 3D SCANNER measures a 10 x 15 cm beam to determine the center of the beam relative to the center of 3D SCANNER. Two electric motors then align the center of the 3D SCANNER with the beam center. 3D SCANNER uses a series of beam measurements to automatically establish in-plane and cross-plane home positions. The ring drive electric motor's zero position is set to the found cross-plane direction. Square 3D water tanks cannot measure a full 40 x 40 cm field at 30 cm depth and 100 cm SSD unless the user shifts the water tank twice, taking two measurements of two “halves” of the beam at different tank locations. This technique is time intensive and can introduce errors that compromise data quality. The cylindrical shape of the 3D SCANNER enables the most efficient scanning ranges compared to square water tanks. A 65 cm scan range is possible without a shift of the 3D SCANNER. This allows a 40 x 40 cm measurement at 30 cm depth and 100 cm SSD, without the inconvenience and potential errors involved in shifting the water tank. A 65 cm scan range is achieved with the offset detector holder, whereby two scans are merged and no tank shift is needed. 3D SCANNER utilizes the same power/data cable that is used for other Sun Nuclear instruments, saving the user from installing another cable in the bunker. All 3D SCANNER accessories plug directly into the 3D SCANNER eliminating the need for external junction boxes. 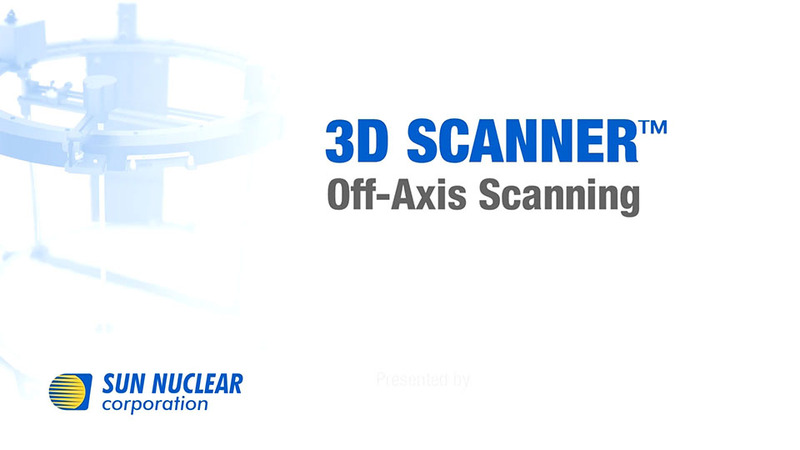 3D SCANNER operates using SNC Dosimetry™ scanning software. SNC Dosimetry is a modern software application designed to offer both familiar concepts from existing water tank conventions, as well as new tools that were not previously available with a 3D water tank system. Queues organize and execute groups of scans. Queue results and analysis are displayed instantly for saving to a project. All data is indexed in a searchable database. Scanned data can then be shared among users as needed. Unprocessed data and processing history is preserved and can be recalled as needed. Selected scans provide on-screen analysis. Measurements may be organized in multi-level projects for customizable organization. Examples of projects include: annual QA and commissioning. Scanned data is displayed graphically. Each processing function is treated as a unique layer of the scan data. The processing layers do not overwrite the original scan data, so users may revert to earlier unprocessed data at any time. Why is the 3D SCANNER cylindrical? 1. Consistent detector orientation. The scanning detector is always in the ideal orientation (narrowest dimension perpendicular to the field edge), for crossline, inline and diagonal profiles. This eliminates effects of inconsistent detector orientation such as variable dose volume averaging, and delivers the sharpest possible penumbra. 2. More stable water surface. In a cylindrical tank the scanning detector always travels parallel to the scan rail, whereas in square tanks the entire rail travels to acquire inline profiles, and both rails travel for diagonal profiles, creating more ripples in the water. A cylindrical tank’s curved walls also help to reduce and cancel ripples. 3. Fast fill and drain time. Faster fill and drain time are achieved due to a smaller tank volume ( ~20% less water), an important advantage for TPR measurements. Fill/drain time is 3.5/2.5 minutes respectively. 4. No tank shifts. The maximum scan range on any axis of 65 cm should require no tank shifts. A tank shift requires a change to the setup, compromising the stability of the original scanning setup. 5. Scanning volume. Due to the cylindrical shape, ring drive, and scan rail, nearly the entire volume of a cylindrical tank is useful for scanning. My beam is shaped square, should my water tank also be shaped square? No. The raw beam generated by the linear accelerator is actually not square in geometry, and is shaped by a round flattening filter, and trimmed by primary and secondary collimators. A cylindrical tank more closely matches the actual beam geometry than a square tank. Can I bypass AutoSetup and setup manually? Yes. There are two ways: 1) The user can individually command portions of AutoSetup. 2) The user can manually adjust any setup parameter (except hysteresis) via pendant or software. AutoSetup aligns the 3D SCANNER to beam CAX automatically, however if the beam is slightly off or skewed will the automatic CAX setup be incorrect? No. Not even if there is an asymmetric field or if symmetry is wrong. During the "Adjust the ring center's position to the central axis" step, the Linac collimator is rotated by 180 degrees in order to eliminate any asymmetries from the centering process. What is the maximum scan field size of the 3D SCANNER? Without tank shifts, the 3D SCANNER can scan up to 65 cm with the included offset detector holder, or 50 cm without the offset detector holder. The 3D SCANNER can scan a full 40 x 40 cm field, with 5 cm tails at 100 cm SSD and at a depth of 30 cm with the offset detector holder. For a diagonal scan of a 40 x 40 cm field at 30 cm depth, an 80 cm SSD is used. Do I have to adjust the gain setting each time I start a new scan? The 3D SCANNER electrometer has a very large dynamic range so the gain does not need to be reset between scans when using the same detector. This includes high dose rate FFF beams. Do I have to purchase TPS export modules? No. 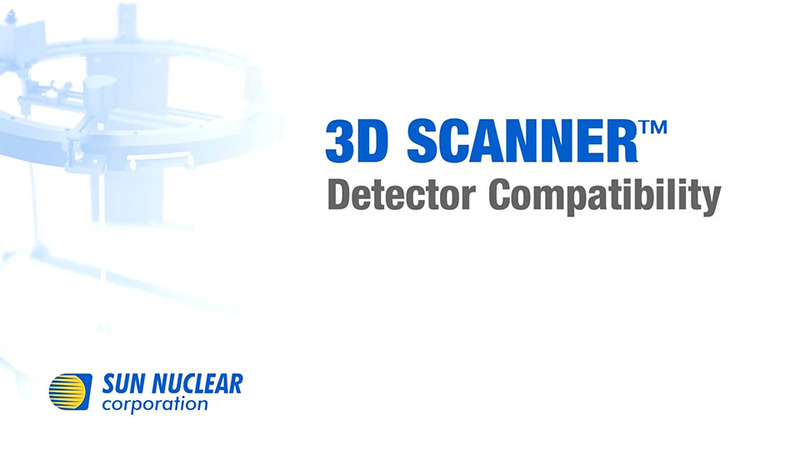 All available TPS export modules are included in the 3D SCANNER’s SNC Dosimetry software. This can be a significant cost savings. How is 3D SCANNER different from other systems regarding processing? Each scan that has had processing retains a list of the processing layers, along with a time stamp of when the scan processing layer was added. Due to the 3D SCANNER’s database, raw data is saved, and each scan can always be returned to a previous layer of processing, or returned to its raw state. One may also see processing changes already implemented by selecting individual prior layers without reverting the processed scan. Can I make off axis scan measurements? Yes. This is most often requested for Pinnacle3 and measuring intra-leaf leakage. 3D SCANNER combines the Ring and Diameter Drive movements simultaneously to acquire off axis scan measurements. How can I share data between colleagues and PCs? SNC Dosimetry software has a “Save” function that will create files as .xml, .txt, or TPS-compatible .asci format, which allows sharing of data as with any other system that does not have a database. One may also create a database backup and send that to a colleague. The colleague can then open it as a new database on their system. The software can support multiple databases.